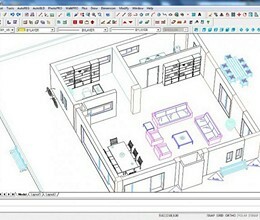 ProgeCAD Architecture is a 3D & 2D Architectural software using DWG as its native file format. Very intuitive, its powerful BIM technology helps you to draw faster and easier in 3D & 2D. Easy use for AutoCAD or progeCAD users and 100% DWG compatible. Either in 3D or 2D view, progeCAD Architecture provides you with intelligent and parametric objects libraries to draw your buildings, houses or interiors : walls, windows, doors, stairs, balconies, roofs. You just have to pick a shape and modify its dimensions. Editing you 3D project is as easy as a double-click on the element which dimensions you want to modify and/or drag and drop the element to change its position. 2 SOFTWARE IN 1: Our architectural software also includes all the standard CAD environment and features therefore you can also use it for any CAD drawing and also the powerful BIM approach. Very easy and fast 3D Design with intelligent parametric objects and extensive libraries. You just pick the shape and enter its dimensions. 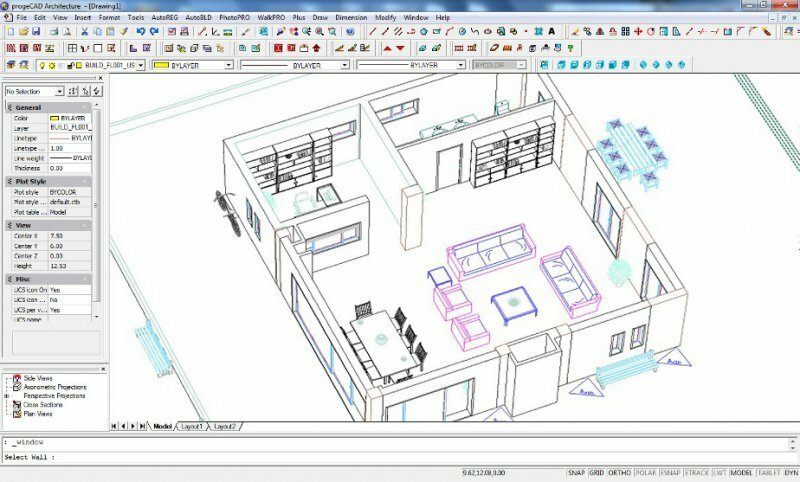 Get automatically all the 2D drawings and views from the 3D model : floor plans, elevations, perspective views, cross sections. With progeCAD Architecture you can design directly on the 3D building model, by manipulating the architectural objects and elements just like "plastic" objects, freely shaped in real time. This is possible not only in the simple building objects but also in the composite ones, since their structure follows a synergistic BIM logic. This allows even the most complicated design ideas to be realized very easily and fast. With PhotoPRO you can create high quality photorealistic images thanks to the OpenGL fast algorithms and the state-of-the-art ray-tracing technology. Given that every object embeds materials and textures within its editable attributes, the only you have to do to get a high-quality real representation, is to click on the mouse. With WalkPRO you can take a real-time virtual tour walkthrough of the photorealistic 3D model, walking indoor and outdoor while using several options (staircases to ascend, doors to open etc). In addition you can also create avi video files, by just clicking on the “record” button. progeCAD Architecture includes a set of sophisticated dialogs and modelers to create slabs, staircases, roofs, rails and vertical or horizontal elements of any type and shape. Dynamic shaping and editing of any composite element is performed through the parametric dialogs of progeCAD Architecture which practically cover every construction case. The parametric behavior of all these structures enables changing most of their properties at any time in the design process. * ProgeCAD Architecture download link provides trial version of the software. ProgeCAD Architecture has been rated 4.0 out of 5 points. A total of 1 votes cast and 0 users reviewed the software.